We are very pleased to share the news about our latest Annual General Meeting. The meeting was held at the Royal Overseas League in London and this year all eyes were on the our wonderful Marsican bear conservation project. 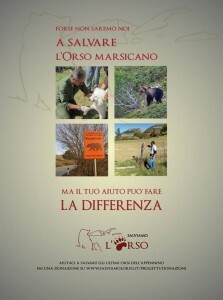 Mario Cipollone, founder of Salviamo L’Orso – with the support of his collegue Alberto Miccadei- gave a terrific presentation about this magnificent animal, highlighting the many obstacles faced to protect this species, sadly on the verge of extinction. We are proud to work with Salviamo L’Orso and we are very grateful to Mario, to all of our members who could be in London to attended the AGM and equally to all of our friends and supporters who, despite being far away, help us to continue our work for the protection of animals.